About two years ago, I met filmmaker Astra Taylor by phone when she called me about shooting in North Carolina for her documentary What Is Democracy?. We ended up talking for a very long time about film, politics, philosophy and protest. My partner Suki and I were in the process of finishing a film called Working In Protest, which we constructed from about 30 years of protest-oriented films. I didn't realize it at the time, but that film had been profoundly impacted—and, in fact, inspired—by Astra's work. Being present, and filming, at Occupy caused us to change the way we approached documenting protest, and Astra was deeply involved in the movement. Coming out of Occupy, she helped launch the Rolling Jubilee, wherein people bought up debt on the debt markets and then forgave it, and The Debt Collective, which organized the first student debt strike in history. These are simple yet radical ideas—and she’s overflowing with them. She asks questions that most people don’t think to ask and in the process, finds ways to discover solutions to problems that seemed unsolvable. When we got down to Occupy, our sense was that since it was a different kind of movement, we should approach it differently on film. Rather than try to find a character to follow, we felt the need to make Occupy itself the focus. We continued this approach when we moved a year later to North Carolina and made a short about Rev. 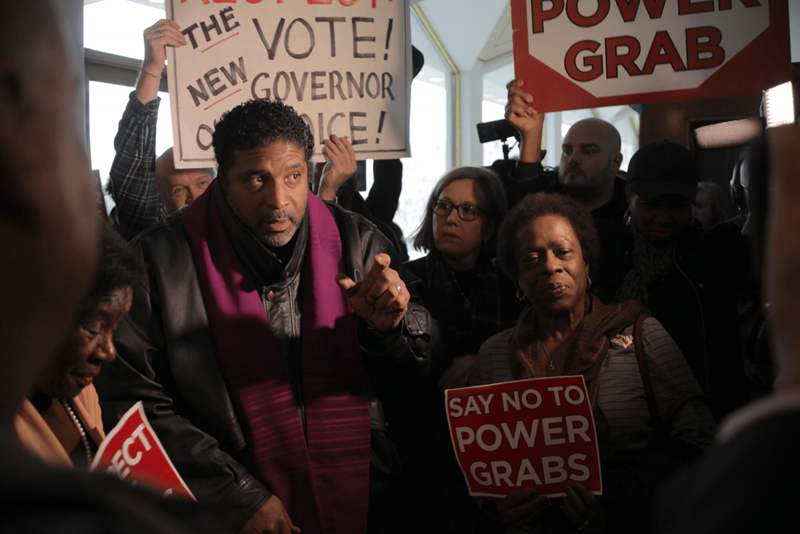 William Barber's Moral Mondays movement. A few years after that, Astra wanted me to shoot Rev. Barber's annual January call to action. I was charged with documenting a couple of the characters from her film, students at local HBCUs (Historically Black College and Universities). 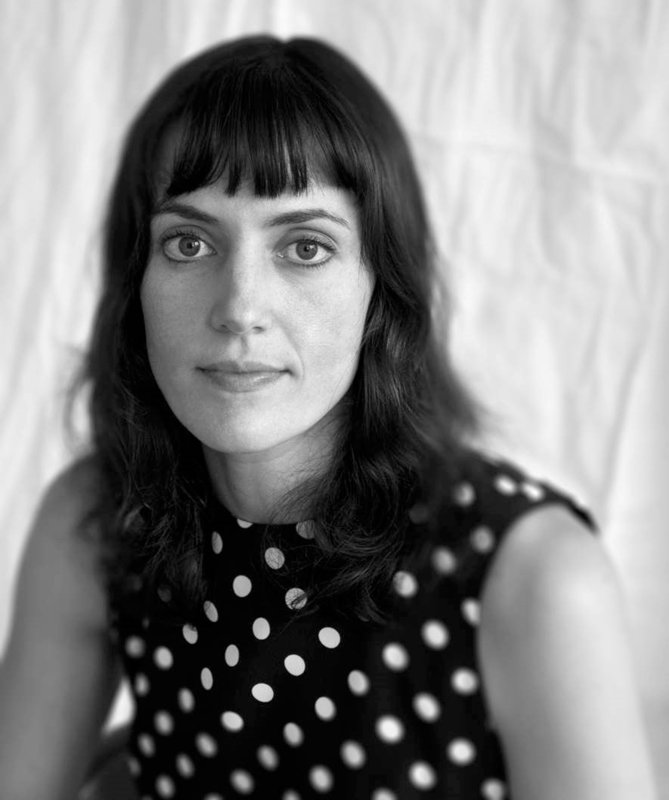 Astra and I have had many conversations since then, and I’m excited to have the opportunity to talk to her about What Is Democracy?, a cinematic essay that asks that simple, yet profoundly complex, question. The film is essential viewing at this time because it both allows and forces us to grapple with the blindingly complex conundrums of governance. Both philosophical and practical, the film offers glimpses of hope, but can also reveal the horrors of democracy when power and wealth are out of balance. This is a fraught time not only for governance, but also for media. For the purpose of this discussion, I wanted to focus on the connection between these two ideas—and how the meanings of democracy and documentary are related. Documentary: Astra, you made two documentaries featuring charismatic philosophers, and then you went on to have a significant impact on the way in which protest takes place worldwide. After that, you did a little touring as a musician and wrote a book about the Internet. Then, finally, you came back to filmmaking. Talk about your process, since you don’t make “standard” documentaries. What sparked this film, and how did you take it from the initial idea to the screen? Astra Taylor: I guess the thing is that I never wanted to be a “filmmaker” per se; I’m not much of a cinephile. I mean, there are films I love, but I don’t love film in general, if that makes sense. For me, content comes before form. I see myself as an intellectual and an activist, so I pursue projects based on the medium that suits whatever ideas or issues I’m obsessed with at the moment. Creative projects are basically just elaborate excuses to go out and engage with whatever it is I’m curious to learn more about. It’s the subject matter that determines whether the end product should be a film, an essay, a book or a political campaign. That said, I have been steeped in artistic expression my whole life, so I do appreciate the way film allows one to incorporate the visual and auditory in a way that writing doesn’t. That’s part of why I keep coming back to the form; movies are so wonderfully multi-faceted. But yes, I don’t think I could make a more straightforward documentary, even if I appreciate a lot of those films and am grateful to the people who make them. But for me, the filmmaking process has to be an exploratory learning process—I wouldn’t want to map out the story I’m telling in advance and then just sort of fill it in. Also, the films I like tend to be a bit more cerebral, digressive, and a little less slick or polished than the usual fare. So, I love Chronicle of a Summer, La Jolie Mai, The Owl’s Legacy, The Gleaners and I and anything by Heddy Honigmann or John Berger. That’s sort of my cinematic pantheon. D: Something you said makes me think about how, in the late ’90s, video cameras had made it possible for people outside of traditional systems of production to make documentaries—without a lot of funding, or even schooling. While those tools opened up the door for video to lift up activist voices, they also helped create reality TV programming. These two motivations stretched the boundaries of what we consider documentary to be. By the early 2000s, there was a rush to fund films that would “lead to change,” which led to a focus on this kind of work at festivals as well as through distribution channels. A lot of this work was powerful and important, but it tended to crowd out work that wasn’t “activist” on some level. The movement towards “social issue” documentary was part of a broader trend towards a more divisive political culture in democracy. In your film, it is made clear that definitions have meaning in relation to cultural realities and framings, and for me, this connects to the ebb and flow of the definition of “documentary.” What we think of when we hear the word documentary has changed significantly in the past 25 years, and the word is going to mean different things to the average person who watches TV than it does to people who watch documentaries in the theaters, or people who study them in institutions. Interesting observations. I haven’t followed trends in documentary as closely as you, but I am interested in trends in media and the political economy of media and culture, especially as we transition to a digital system, which is what my book The People’s Platform is all about. You are right that this is a different world than the 1960s, when everyone in America was tuned into a handful of major networks, which, by broadcasting footage of civil rights protests, made it national news. Our communications infrastructure has been “democratized” in some respects, in that we can all post and comment online, but it has also been wholly commercialized and is extremely consolidated. The seeming abundance and variety of content masks the underlying concentration, the power of digital monopolies, and lack of economic support for certain kinds of work, including investigative journalism and serious documentaries. Our mediascape’s general reliance on ad dollars, data tracking, and the trend toward vertical integration really worry me. That said, I don’t want to be too negative. If you take “documentary” to mean nonfiction work in a broad sense—feature films, television one-offs, video series and podcasts—it seems there’s more appetite and interest from audiences than ever. D: In some ways, your film is about revisiting and re-engaging with the idea of democracy—and how that idea and our conception of it is impacted by larger geopolitical and historical forces. You look at how democracy plays out in diverse ways across the globe. I'd like to think about those ideas in relation to the idea of “documentary.” In other words, "What is documentary?" I often ask myself what documentaries are and what they are for. For me films operate best or most meaningfully on the level of expanding and shifting perception, which is why I think they mix well with philosophy. While my films have all had political and social justice aspects, I don’t see film as activism. If we want to instigate change, we need to do the hard and unglamorous work of organizing. We need to advance beyond “raising awareness” to building counter power and challenging the flows of capital through things like strikes and boycotts. So, as an activist, I’ve focused on organizing debtors, and since 2015 the group I co-founded, The Debt Collective, has helped to win around a billion dollars of relief for defrauded students and to change federal rules around debt relief. I could have been working on a film on the issue, but I suspect that would have had far less of a concrete impact. I love documentaries with a conscience, but I also sometimes wonder what purpose social issue films really serve. What role do they really play in a larger strategic sense? It’s especially problematic when directors just sort of parachute into movements without being deeply invested or knowledgeable, or when they present important issues through a solely “human interest” lens and sort of depoliticize them in the process. So I don’t really know what documentaries are, but I don’t believe they are a substitute for activism. They can be part of a broader strategy, but focusing attention is not a substitute for organizing. 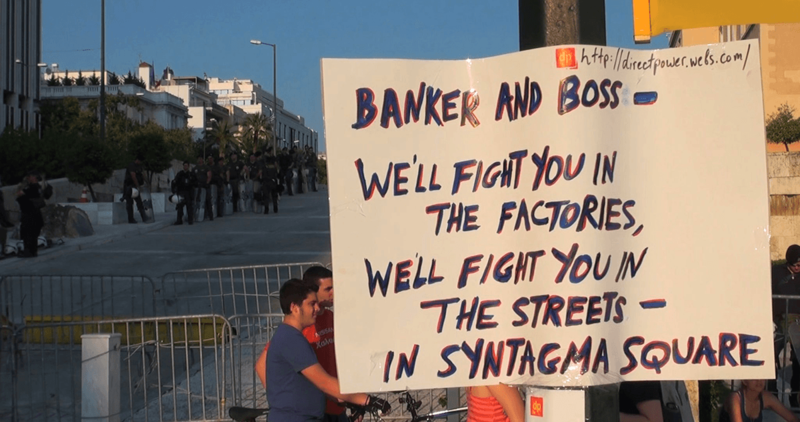 Both of our recent films, What Is Democracy? and Working in Protest, attempt to embody democracy on a formal level. Neither film takes the position of informing the viewer about an issue or historical event. They aren’t didactic in that way. You can see it in the titles. The titles purposefully reflect the ongoing nature of the democratic practices we are trying to represent. “What is democracy?” is a question we have to keep perpetually asking and reassessing; it’s not about finding the definitive answer and then being done with it. Likewise, Working in Protest is something we have to keep doing— “working” is an active verb. Neither of our films pretend to be complete—so many chapters of democratic history and thought could have fit in my movie and so many other scenes of struggle and contestation could have fit in yours. But that incompleteness is not a failure, it’s a strength, because the point is that we want the audience to be activated in a different way. You can’t wrap the stories we are telling up with a bow, right? D: This brings up a question about how powerfully our expectation of what a story should do affects both how we make films and how we view them. We are currently working on a follow-up film to Working in Protest that is equally immersive—even more so, really, because it is more focused. Like Working In Protest, it was borne out of a need to document events that were happening around us. Again, this work was very influenced by Occupy. Are you talking about your work focused on the Confederate Statues? D: Yes. There was a lot of action happening around where we live in North Carolina. We wanted to capture that in a space between journalism and activism. As you point out, we didn’t feel like it was our job to explain what was going on; we wanted people who weren’t there to experience what it felt like. At the same time, while our thoughts certainly aligned with those of the protesters, we did not want to make work that might be seen as advocating for them, largely because we’ve learned that while the activist film builds energy in a movement, it can also lead to less dialogue. It’s funny, I don’t have any problem with my film being seen as activist. But maybe that’s because What Is Democracy? has a first-person aspect; I’m in the film throughout, and I am an activist and very partisan. The movie doesn’t purport to be objective, neutral, or a straight chronological history or account of a concept—it wears its idiosyncratic left-wing politics on its sleeve. 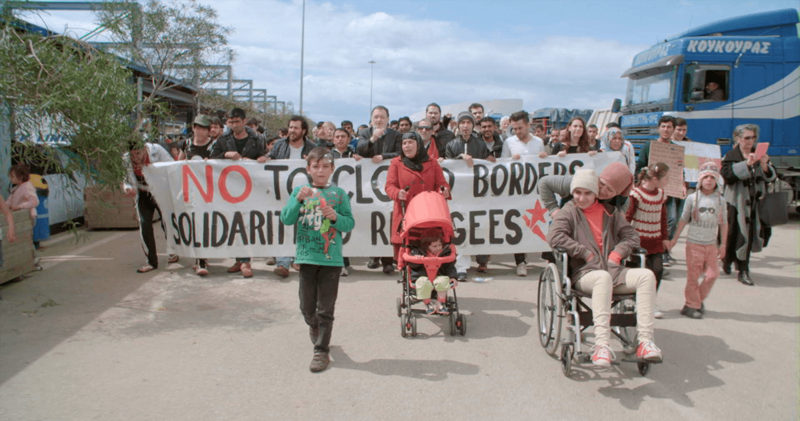 D: While you certainly talk with academics who delve into the deep historical complexities of democracy that tend to get lost over time, and speak with people deeply affected by global tensions, the film feels far from activist. I think that has something to do with a deliberate aesthetic choice to let things play out, which forces and allows the viewer to stay engaged and thoughtful. The film doesn’t feel like it is ever trying to prove a point, but instead offers up ever more questions and possibilities. Yes, I didn’t want to get bogged down in the usual left-wing rhetoric; that would be lifeless and flat and unsurprising. I wanted to craft a film with a strong political and moral voice that wasn’t propaganda in the usual sense. Don’t get me wrong—I love agitprop, but I was aiming for something a bit different. Maybe you could say that my film is propaganda for wrestling with ideas and rising to the challenge of putting our ideals into practice in such a messed-up, unequal world. The film is structured so the viewer will, I hope, identify with me as I go on a sort of Socratic quest, asking philosophical questions and listening to people from all walks of life. Questioning and listening are as central to the film as speaking. Making this movie really clarified for me that questioning and listening are underappreciated democratic virtues, especially in a society that obsesses over free speech—and they are underappreciated aspects of being an intellectual too. For me, being an intellectual is less about knowing than it is about learning. That’s why I tried to make space for the audience to also hear their own thoughts even as the movie plays, instead of telling them what to think or feel every second they are watching. My composer, Heather McIntosh, leaves certain music cues unresolved, just to underscore that the questions being asked are perennial. D: This leads me to think about ideas related to audience. Earlier, we were discussing the ways in which funders started to drive a great deal of social issue content. In addition to asking how one’s film would lead to change, funders always want to know how we are going to reach our audience. Distributors want to know this as well. Audiences, like the public in general, seem to be becoming ever more fractured. How do you deal with that question as you think about your projects? I was really lucky to have the National Film Board of Canada sign on to produce What Is Democracy? because their mission is public service- and director-focused, not market-driven. It’s an amazing and unique institution and I don’t think I could have gotten support for this film anywhere else, precisely for the reasons you outline. It’s a tough situation; I think the best creative and political work doesn’t just cater to existing audiences but calls new publics into being. Some of my favorite stuff in my book The People’s Platform is about the way online algorithms and recommendation engines are designed to keep serving us more of the same, more stuff like the stuff we have already clicked on, and I think that is really pernicious. It closes us off to new experiences and other points of view. I see this in my political work too. As someone who was buried in student debt at a certain point in my life, I was convinced people would be open to coming together to fight back against unfair lending practices and for free education, even though no group yet existed. Through our various initiatives, Occupy and The Debt Collective called this new public into being and helped put student debt on the national radar; that’s a really exciting process to be part of. Audiences don’t just exist; we help create them. I think we just have to trust our instincts. In 2014, when I first pitched my film and the companion book that goes with it, my agent warned me that “democracy” as a concept was basically a career killer and certainly not something publishers were excited to publish books about. But here we are five years later, and all people are talking about is the fact that democracy is in crisis. The same thing happened when I pitched Examined Life at the Hot Docs Forum. I think it was 2007 and all the funders and film commissioners around the table told me it was a terrible idea and that no one wanted to see a film about philosophers. But ten years later, that movie is still being watched and taught and people still reach out to me about it. So who the hell knows what audiences want and what our films and projects can do? My wager with What Is Democracy? is that there are plenty of people who would like to see a feminist political theory movie, if given the chance. What Is Democracy? opens in theaters January 16 through Zeitgeist Films. Michael Galinsky is a filmmaker, photographer and musician. He and his partners Suki Hawley and David Beilinson make up the production company Rumur. Their latest film, The Commons, premieres at the Big Sky Documentary Film Festival in February.